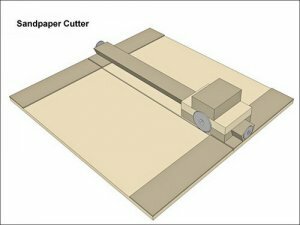 If you have an electric sander that uses ½ or ¼-sheets of sandpaper, you probably find yourself spending a bit of time cutting your sheets to the correct size. If you use your sander fairly often, it can be a hassle cutting sheet after sheet. While cutting sandpaper is not exactly hard to do—and there are plenty of ways to do it—John Heisz from iBuildit.ca has a better way. In the video below John shows you how to build his design and how it works. It does look like a lot of work for a task that is so simple, but once made it does look like a real time saver. Best of all, It is built with parts you probably have around the shop. 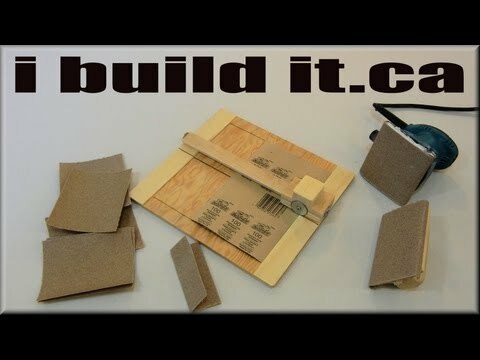 Be sure to visit iBuildit.ca for more information and a SketchUp model of the Sandpaper cutter.